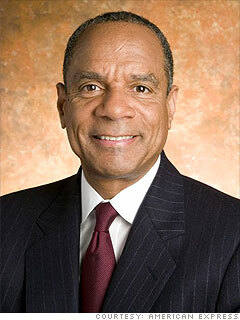 Kenneth Irvine Chenault (born June 2, 1951) is an American business executive. He has been the CEO and Chairman of American Express since 2001. He is the third African-American CEO of a Fortune 500 company.While CEO of American Express in 2007, Chenault earned a total compensation of $50,126,585.